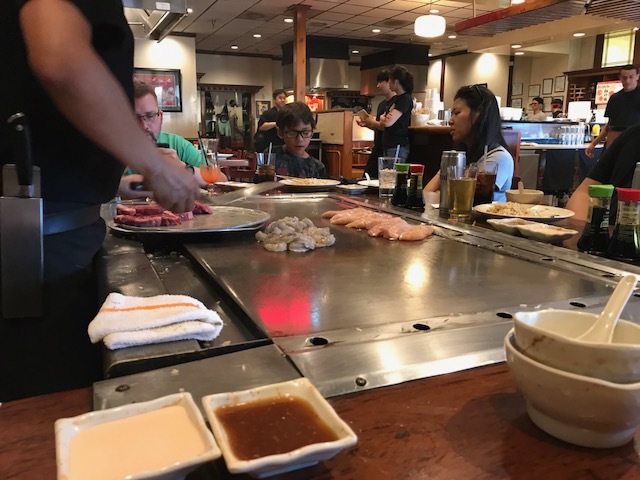 If you’re in the mood for great food and entertainment in Kingstowne I highly recommend Osaka. The restaurant has been in Kingstowne for years and it’s tucked away in Kingstowne Towne Center. I hadn’t been in ages and we went for date night last weekend. Same great service, high-quality food, and lots of tricks from our chef. Osaka has wonderful hibachi but, it doesn’t end there. They have fun specialty drinks and their sushi is excellent. Their specialty drink list has over 15 options – the Geisha is a favorite of mine. 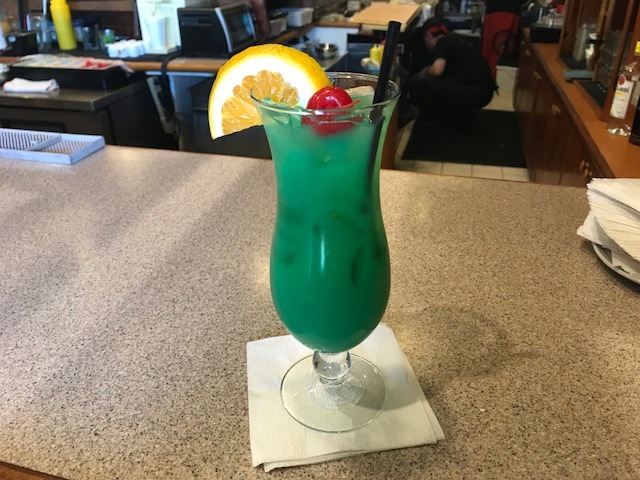 Pineapple juice, lemon, rum, and a splash of Curacao give it its fun turquoise color. It always makes me think of vacation. If you’re just looking to keep it simple beer and wine are also served. The bar is a great place to sit if there’s a wait. You can enjoy a beverage while you watch them make sushi. The hibachi entrees are served with soup and salad. Osaka offers the most options for hibachi that I’ve ever seen. Instead of just steak, you can choose from the cut of meat you like; filet, ribeye, or strip. Shrimp, scallops, lobster, and chicken are all choices as well. I opted for the ribeye and chicken combination, of course, I didn’t get anywhere near finishing it but, it was perfect for leftovers the next day. Osaka also offers a kids menu that’s a great value for young diners. Our chef was excellent, the entertainment of spinning an egg and cracking it over a knife along with shrimp being tossed always makes for a great time. There isn't a time we visit that we don't have a great meal and always enjoy the company of other guests at the table.